Home / Real Housewives of ATL / Porsha Stewart: Partying All Night and Locked Out of Her Home! Porsha Stewart: Partying All Night and Locked Out of Her Home! After Real Housewives of Atlanta's Porsha Stewart demanded alimony from her soon to be ex-husband, Kordell, a new report from Kordell's camp is surfacing to put Porsha and her partying ways on blast! 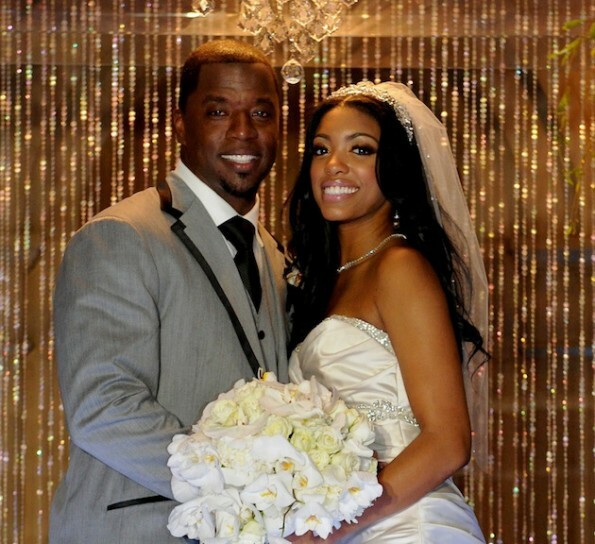 TMZ claims that Porsha has been locked out of the home she shares with Kordell on two different occasions and that Kordell had another woman in their marital home! Now you know that's a lie since Kordell allegedly likes the mens. Kordell says he locks the house for security reasons and Porsha leaves the home for days at a time and doesn't return until 2 or 4:00 in the morning smelling like booze. Porsha locked herself out of the house twice and called the police to assist her even though she has a key. LMAO that does sound like some crap this ditzy broad would do. Oh yeah, and that lady that Porsha claims was in the house was a nanny that Kordell had to hire because Porsha was neglecting her stepson. Wait a minute, doesn't the son have a mommy? Why is he Porsha's responsibility at this point? This divorce sounds like it might get juicy!